As your parents age, it can become easier for them to feel isolated because of special circumstances that might limit their ability to travel or stay connected with family and friends. For that reason, you’re left feeling the burden to find an ounce of free time in the midst of your busy life to keep a close eye on their health and safety. This means providing them with the attention they need and deserve—no matter if you’re across the country or right down the street. So, you’re faced with a tough decision: what’s the best care option? Do you move them into your home, let them “age in place” under their own roof, or take them to a senior living facility? Well, home is where the heart is. And, senior companion care services that go beyond clinical care can give you a friendly, helping hand to enrich the health and overall life of your loved one—from the comforts of wherever they may call home. At Georgetown Home Care, you can relax knowing we will be there for your family when you need us most — seven days a week for as little as a few hours a day. As a locally-owned and operated non-medical home care company, we’re committed to providing dependable and affordable one-on-one support, assistance, and, most importantly, friendship that not only encourages and uplifts the heart and mind of your loved one but yours as well. To do just that, we pair our senior clients with the appropriate companionship services, as well as a caregiver, best suited for their needs, personality traits, interests, and levels of sociability. Explore our range of care options below to get a better sense of what our senior companionship services include. Going grocery shopping, getting prescriptions, or handling dry cleaning are often the everyday needs of those who wish to stay as independent as possible at home. For that reason, we’ll provide transportation assistance for errands, appointments, and social outings. When your loved one participates in activities they enjoy, they can gain enhanced mobility, quality of life, and independence. We’ll help keep them active and moving each day, while also encouraging alert thinking through hobbies and games. Our compassionate caregivers have a calling. 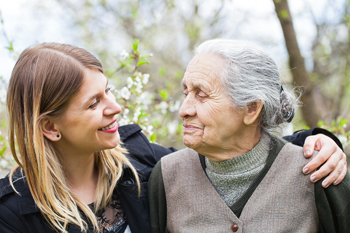 While they’re highly-qualified, trained, and trusted professionals ready to help your aging family member maintain as much independence as possible, they’re also devoted to cultivating friendships with senior clients. Such friendships aspire to help your loved one feel cared for and enjoy an improved quality of life over time. You can reach out to us at any time without ANY pressure to commit to our services. Simply complete the form below so that we can learn more about your unique situation and share how our caregivers can improve the quality of your life!